Despite national borders, natural or man-made disasters often affect entire border region, and requires fast, effective and united reaction of fire and rescue services. 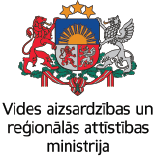 The main goal of the project is to implement new technologies in the work of the fire and rescue services of Kurzeme, Latgale, Zemgale, Riga regions of Latvia and Klaipeda, Telsiai, Siauliai, Panevezys, Utena and Kaunas counties of Lithuania, to increase the ability of services to objectively evaluate and promptly respond to nature and man-made disasters. The project shall introduce use of the new technologies – specialized drones for the surveillance of the situation– and new related methods that will allow more objective monitor fire and rescue works, thus allowing emergency situations to be assessed more quickly and efficiently. During the project a special tuition programme on the use of equipment will be developed, and 8 new drone’s instructors from both countries will be educated. Later they will pass their knowledge to other officers of fire and security services. The equipment needed for fire and rescue services as well as for training of specialists will be purchased, drones with regular cameras (LV – 11; LT – 6), drones with thermal cameras (LV -6; LT – 3), mapping drones (LV – 1; LT – 1), 2 specialized vehicles (1 LV, 1 LT). At the end of the project, joint extensive two-days-long practical training on the use of the drones in emergency situations will be organized for 80 Latvian and 40 Lithuanian participants. As a result of the project, the fire and rescue services will improve their skills, introduce new training methodology and improve mutual cooperation by making firefighting and rescue missions more effective by reducing the negative effects of disasters and improving safety.